About 328,000 drowsy-driving accidents happen on U.S. roadways annually. It happens far too often: Drivers struggle to keep their eyes open, putting themselves and other drivers at risk. Earlier this year, a driver launched nearly 30 feet through his windshield after slamming into a tollbooth in Florida. Officials later discovered drowsy driving was the cause. 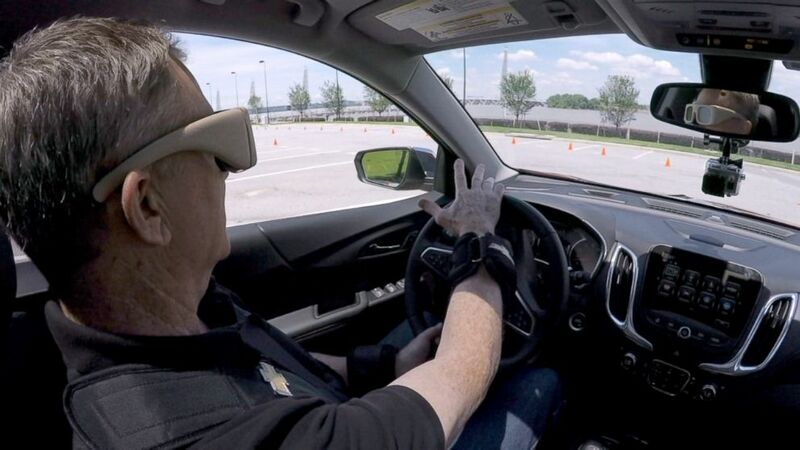 (ABC News) Senior Transportation Correspondent David Kerley suited up with 23 pounds of weights on his wrists, chest and ankles and put on goggles to block his vision, creating the effect of driving drowsy on the road. A report from the Governors Highway Safety Association found there's an average of 328,000 drowsy-driving crashes every year in the U.S., with more than half caused by drivers younger than 25. General Motors has developed a suit to test the effects of driving while drowsy. Senior transportation correspondent David Kerley suited up with 23 pounds of weights on his wrists, ankles, and chest and put on goggles that distorted his vision to recreate the delayed reaction that can accompany drowsiness. 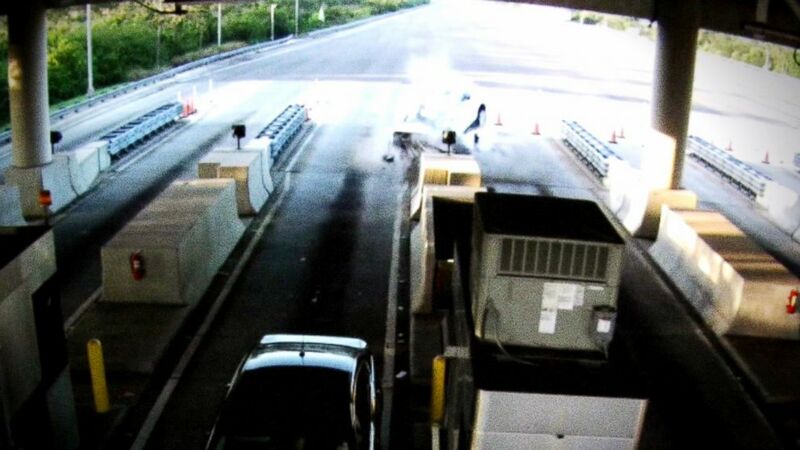 (Florida Department of Highway Safety and Motor Vehicles) The moment a driver careened into a Florida tollbooth. Officials later revealed he was falling asleep at the wheel. Chevy safety engineer Maureen Short said one of the biggest problems about driving while drowsy is impaired decision making. "Drowsiness, unfortunately, it generally happens over time," Short said. "The problem is, you as a driver are a very poor judge of how tired you are." While caffeine may seem like a quick fix, it is highly unpredictable, Short added. A report from the National Highway Traffic Safety Administration (NHTSA) found that a driver who drinks coffee can still have "microsleeps" or briefly lose consciousness for a few seconds – more than enough time to cause an accident. The NHTSA also said that drivers who still want to drink coffee can drink one or two cups and then pull over for a 20-minute nap at a safe, designated stop. This has been shown to increase alertness, but only for short periods. The best thing to do is get consistent rest, especially before longer drives. "Nothing's going to be as good as six to eight hours of sleep," Short said. "That's the only thing that really helps you."